Previous PostISO and EI – using the right terms makes what you are doing easier to understand.Next PostOut and about with the PXW-Z280. WOW and here I thought I’ve been doing something wrong! I always knew something was off but assumed it was an error in my workflow. Thanks for this and hopefully Adobe decides to do something about it. Thank you Alister for this post, I was going crazy(er) trying to make Premiere correctly process my Z90 and FS7 footage. I am switching to Resolve for my native editing and colour correction. At $500 per year, Adobe needs to seriously step up their game for video. 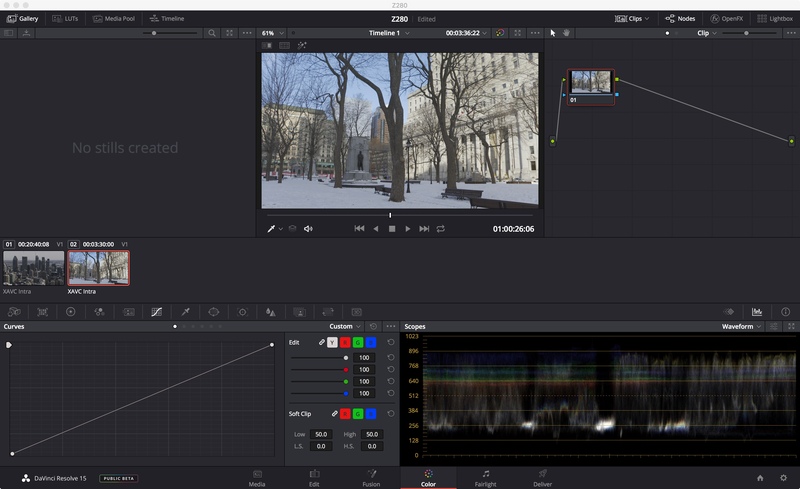 It is virtually impossible to produce HDR projects in Premiere. BTW: I love my Z90! I spent the summer in Southern Utah and Arizona in many national parks. The subtleties in hues and saturation the Z90 (and FS7) can resolve is amazing! Thanks again Alister. Hi Alister – please tell me this is something wrong with ProAV’s workflow and not the quality you’d expect form the Z280. It just look a little over exposed to me. I don’t know which gamma they used, but in my experience the camera has a very good roll off. I noticed this last week. We got a used FS5 from BH, and when shooting S-Log 2, the LUT used made the sky an almost greenish tint. At first i thought it was the camera, but i did other test with the Small HD monitor and i did not see that tint. Alister, have you seen this? Gerald is saying Sony records S-Log to not only a different range (legal vs full) internally vs externally (on an A73) but also that the gamut is affected. He also says it can be circumvented by starting recording in a different picture profile and switching while recording. Well what can you say about someones conclusions about an issue when he completely misses the fact that the external HDMI recordings, according to Adobe’s fantasy scopes, appear to have code values significantly above CV256. Around 2:30 he even points out that the levels of the HDMI recordings are above CV256 – Which should be impossible, but he just ignores it – WTF. 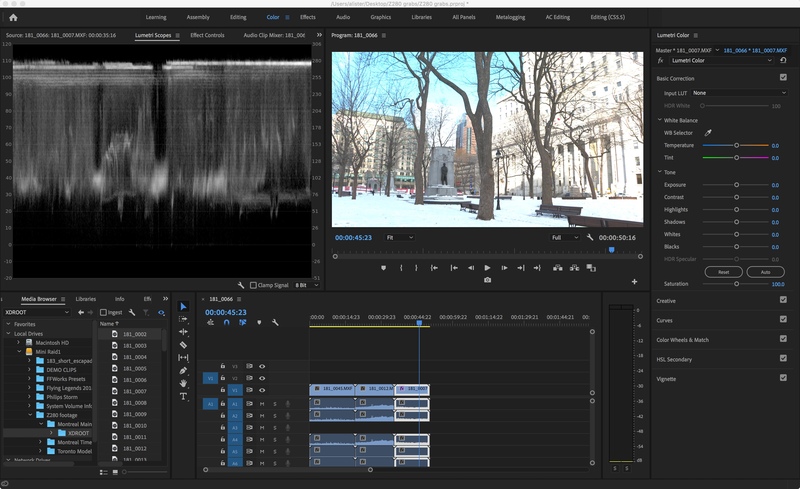 Those levels should be screaming out to him that there are significant issues with Adobe Premiere – after all it is impossible to have recording levels above CV256 in an 8 bit recording, because there are only 256 code values, regardless of whether you use HDMI, log, etc. But all of this is ignored. It should be ringing alarm bells that all is not right in Premiere.